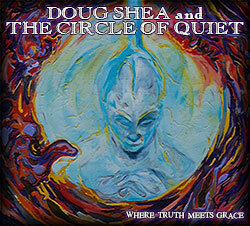 "Doug Shea has a voice that exceeds the reach of even the most gifted secular singers - which is a gesture from God in itself - and 'Where Truth Meets Grace' is remarkable as a body of music by any standard; a divinely endowed work." Most of the time, in order to move forward with God's will for your life, you have to surrender all you think you are. 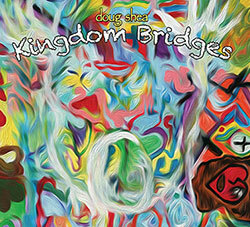 It was in that spirit that Doug Shea birthed his latest album, Where Truth Meets Grace. With a pride-filled heart, Doug caused a train wreck of pain among every person he came into contact with. I was trying to find my significance in everything but the person who could give it to me. I was suffering from a mental illness and family traumas that plunged me into addictions and deep abysmal places. That mindset, compounded with touring nationally, working with famous industry people and performing with dozens of huge musical acts was a recipe for destruction. Not only for myself, but for those around me. Doug began to pray, to seek out and listen to the few friends who refused to give up on his soul and faith. Amidst this life change process, the band was on the rise, and Shea met his soon-to-be wife, Monica. Everything the vision predicted happened in accordance with Shea's choice. 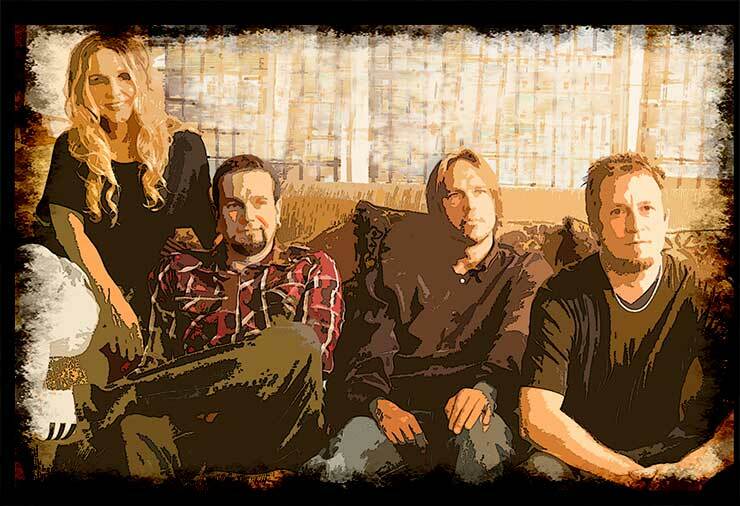 The band called it quits few years later, Doug and Monica were married and a job came out of the band's fan base. He became a music director for a church. This wasn't a typical happy ending scenario. The choice I made also promised great hardship. God was working, but He had a lot of work to do in me. I was still wrestling with many things. I was prideful, angry, far from living a life for Jesus and basically, trying to fill holes in my life that were meant to be filled by Him. I had accepted Jesus, but my identity in Him was being blinded by my failings. This led to some of the darkest places I had ever been. I truly believe, if it wasn't for God using my lead pastor, and my wife and a few select friends reaching out at key moments, I would not be here today. Extreme hardship fell on Doug's family, including the death of Monica's father. I hadn't written anything in years. I felt I only wanted to write for God, but I couldn't because I felt filthy. But when I heard my wife weeping in the next room about her father and crying out, “Why?” something happened. I started to write an album based on Psalm 109. I admired how open and honest David was with his Father and I wanted that also. In 2010, Elegy of Me was released, a two-way, open and honest conversation between myself and God. Shea's life, in small ways, started aligning more and more with a life that reflected Jesus. 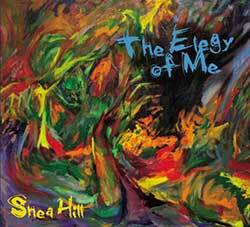 The Elegy of Me album carried Shea to performing at churches and sharing his faith story in between each song. Heartfelt transparency would explain how each song applied to his walk with Christ. This was when I began to understand how God valued me, and the great lengths the Father was going through to bring me back to His arms. Although I fell into those dark places less often, I was still wrestling. I hadn't fully given it over to God. I was driving, feeling alone and desperately wanting my life to be over. I was in such agony - utter despair and sadness. Tears filled my eyes as I screamed at the top of my lungs to Jesus ‘Take it away! Take it away! You promised, and you can't break your word!' I must have screamed ‘take it away' dozens of times. Bible passages of all God's promises to His children flashed through my thoughts. As I was screaming, sobbing, completely broken and surrendering all I had, I felt Him. It was like a huge cloud of tangible love poured down upon me. It was the most beautiful, peaceful, exciting, electrifying and intense sensation coursing through my whole body. I felt all the filth being ripped out, like weeds from wet grass. Anger, depression, addictions, mental illness and everything in between were gone. You may say I'm crazy, but here's a fact: I have never suffered from any of those things since. Not once! They're not in me any more, they've been replaced by a loving God who I can feel everyday living inside me. I'll never forget seeing the look on my wife's face when I walked through the door that day. Monica had spent years with an emotionally unstable man. She looked at me so elated, as if she saw the man she married for the first time. The first words out of her mouth were, “What happened to you?” From that day, everything about me changed, because I had an encounter with Holy Spirit. These songs, to my mind, were my way of asking God, “Do you want me to do this?” I knew God wanted me to work for His kingdom, although I wasn't confident where. The next three years would be a series of tests. Would Doug follow wherever God led him, even if it put him in uncomfortable or painful situations? Those years were very hard. God was doing some deep work in me. God put me into some situations that were very unpleasant, but this time, I had a peace inside me. There were challenges, hard challenges, but I knew Jesus was walking right next to me through them all. I was in a circle of quiet. A deeper readjustment inside me happened when I saw a Darren Wilson documentary film entitled, “Finger of God.” After my experiences and seeing others on Darren's films, I knew there had to be more and prayed to witness it personally. I started seeing miraculous healings, deliverance and hearing God's voice more. I understand that sounds crazy, but I know what I experienced. This is why I feel it's so important to see Darren's films, and why his documentaries tie so deeply into my journey, Where Truth Meets Grace. In a way, his films became the catalyst to initiate an entire chain of songwriting sessions empowered by my experiences with God. From 2013 through 2016, Shea focused intently on finding God's will for his life. Once again, it happened. I had another experience of being overwhelmed by God's Spirit while driving. I had to pull over in a parking lot just to receive it because it was so powerful. I sat there as I felt my arm, in the spirit, reach into my heart and pull out my dream of playing original music. The next thing I knew, my dream was in my hand and my arm was outstretched to the heavens. I felt God gently pulling my dream out of my hand. But He wouldn't take it until I let go. After a few gentle tugs by God, I did just that, I let it go. After that, it was a time of deep pruning in my life. I couldn't write music anymore. But a pastoral ministry emerged in the process. Baptizing people, speaking messages, a Christ- centered wedding and personal conversations, almost daily, as I watched Jesus use me to lead people to His heart. I had no idea these were the stories that would stir this album. I actually came to a place where I felt God no longer wanted me to write music. The most beautiful thing about it was that, in my heart of hearts, I was happy about it! Then, I specifically heard Him say He needed me to write a song. The next couple of months were a struggle musically. I argued with God daily, pointing out that He had so many better-qualified people for this job. But He put my arguments put to rest. I'll never forget His audible words, “I qualify who's qualified.” Almost immediately, the outpouring of songs for this album commenced. But the battle for the album was far from over. Due to continuous challenges in the studio, the album was pushed back by 10 months. I couldn't believe it, almost every challenge you could imagine and some you couldn't fathom happened. It was like the album had a target on it's back, and yet, I still had His peace. I knew the album would get released in God's perfect time. I could feel His hand all over it. In mid-production of the album, God also called Doug to Willow Drive Baptist Church in Lake Jackson, Texas, to serve as the new worship and outreach pastor. Talk about something I never saw coming. Move 1,200 miles away from everyone I know and the majority of my album support? But if this journey has taught me anything, it's to trust God with every aspect of my life. If you ever doubt God is alive and working miracles in the world today, come and talk to me about my call from Wisconsin to Texas. It was joyfully crazy! But that's a story for another time. New in You is about my hero, my Savior and my best friend, Jesus Christ, and how He rescued me. It's a song about everything I was before my encounter with Him. But like Paul, who was completely different until he had an encounter on the road to Damascus, once you have that encounter, you will change. You become new in Him. Align My Heart to Send is the response. Like Isaiah saying, “Here am I. Send me!” It's a natural response when you have an encounter with God. We have been designed to serve. Unfortunately, our desires, burdens and our brokenness get in the way and shift our hearts to serve ourselves. This song is a prayer of service. In that prayer, I want to serve, but I also need to lay everything down at His throne and be renewed in Him. Align my heart and send me! The Healer was written from the three small accounts in Matthew, Mark and Luke of the woman who touched Jesus' cloak. As I studied these stories, I started to see everyday principles from this brave faith-filled woman. I saw myself as the woman - broken and unclean. I too had tried many other avenues to get healing, but none worked and things even got worse. I saw the crowd in the story as the world that pressed around Jesus and blocked Him from me. The world was so loud and distracting, I couldn't even see Jesus. The world told me I was too unclean and inferior to be close to Him. But faith is only as strong as what you have faith in. My faith was in God's promises and just like the woman who had faith in Jesus, we were both healed. I'm sure she got shoved back, ridiculed and even beaten. But her faith in Jesus gave her the strength and courage to fight through them. Jesus' own words were, “Your faith has healed you.” When the world presses around Jesus, there are some days I have to fight through the crowd. But my faith and strength comes from His promises of who He is in me. So I will push though the crowd daily, because I am His and He is the only healer. Give Me Your Pain grew out of a healing and deliverance I witnessed. I literally saw Jesus free someone I care for from serious oppression over the course of a single hour. This is a song about that raw truth and grace. Jesus literally asks you to give him your pain. He will take it away! He doesn't want you to suffer! I am a living testimony of this healing. The Darren Wilson movies I've mentioned are riddled with true stories of freedom found in the name of Jesus. Honestly, this is my favorite song on the album. It's the heart of why Jesus lived, died and rose from the grave, told in a raw but simple way. He came to take away our suffering. Wrapped in Your Heart was written about a dear family who went though some of the most painful life experiences I have ever witnessed. I felt God tell me to remind them of how much He loves their family. I felt God say they should wrap Him in their hearts because they were wrapped in His. Think about it. How many times do we let the brokenness of our lives cause us to run from our safety? How many times do we believe we are too broken for God? How many times do we believe we have to get ‘cleaned up' before we can approach God? This is a song to remind everyone there is nothing you can do to make God love you anymore than He does at this very moment. His love is not contingent on what you do. Like any loving Father all He wants is your heart. The idea of Light in This Weary Land is to try and communicate who Jesus is. He is the Light. I've been on the other side - I've believed God caused all the suffering I was experiencing. I was so angry with Him. But the light clears away all the darkness, and that's exactly what Jesus did. I started to see the world with brand new eyes. The desires that were once so important were no longer important. Now when I walk though troubled times, there's a peace in knowing I'm being held through it all. Jesus is my peace that surpasses all understanding. It's His promise. …and Mighty is Your Name is a straight up praise song. A friend of mine was going through a pretty rough surgery. I was at home in the kitchen, worried and praying for the surgery to go well. I don't know exactly why, but I was moved, almost led, to pick up my guitar. In the core of my soul, I felt, “Just praise Me.” This was the fastest I have ever written a song. The words and guitar parts just pored out. I couldn't stop writing about how mighty He is with statements I've never expressed before. My friend's surgery went better than expected, I finished the song and played it in church that week. Praise God! Veil of Tears is an extremely personal song with the majority of lyrics written while sitting next to a hospital bed as Monica's father was passing away. Over many drafts, the song became more of a duet as God reveals His heavenly perspective that transforms a wounded heart into a joyful heart. A walk that Monica and I traveled together. Experiences that saddened my heart inspired Not Like Us. First, let me say that I am 100% pro-life, and I also hold our country's democracy in the highest regard. I also believe it is important to stand up for the defenseless, and what we believe in. But I also believe we need to love people first. This includes the woman who has chosen to have an abortion, and people whose political opinions differ from our own. I do not believe Jesus would stand with signs on a corner screaming at the lost, nor do I believe He would attach His house to a particular political agenda. The song is about being more like Jesus. How would Jesus see people in these situations? In all circumstances, like Jesus, we need to be motivated by love. What if we stood by our love for that unborn baby and used our Biblical conviction to love the mother as well? What if we held our tongue when someone spoke against our political opinion in the hopes to share Jesus? As I wrote this song, I kept thinking of how I have acted toward people: judgmental, critical, overly opinionated and hypocritical. Many times, my motives were not out of love. How could Jesus go through all He went through for someone like me? Yet He did. All that I could say was, “Oh thank you, Jesus, that you're not like me.” My goal is to reflect a love like that in all circumstances to all people. God literally asked me to write Take it Away. It's the song I fought with Him about for two months. It's about my experience driving and calling out for Him to take it away (explained in detail above). It's a song about the faith I had in a God of the miraculous, before I witnessed the miraculous. Take it away is a life-song story about the promise God gives us when we surrender our will to His will. The Point of it All took the longest to write. This song is a lesson with bullet points of my entire journey. For the longest time I put my trust, faith and life into everything but Him. All the lessons I've been learning really boiled down to trusting Him. By the time this song was written I had a clear picture of who my loving Father is, and because I know who He is now, I want nothing more than for Him to lead my life. I will trust that He knows what's best for me no matter where I am. 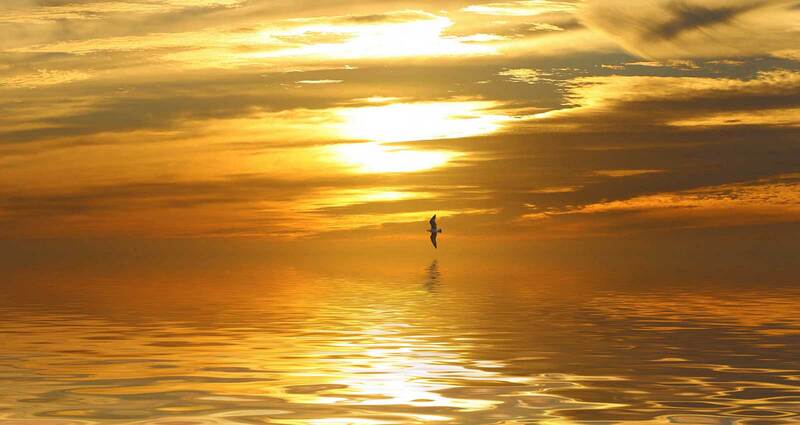 Strength (In a Broken world) was moved upon my heart when I heard that a dear friend of mine died suddenly. God moved a great passion in my heart for her husband, children and family. All I could think of was Jesus and the promise He made in the book of John. He is the only one who can give us the comfort needed in these times. I felt utterly moved to acknowledge that this world is broken, but Jesus is our strength. God In God Out came out of the many experiences I've had with the non-Christian. Time and time again, their reason for being closed off to Jesus is, unfortunately, a Christian. It really made me think about my life over the years and how critical my actions were. ‘Do I reflect Jesus?' was a question I had never asked. If I call myself a Christian, what are my actions telling people around me about Christ? I'm expecting God's grace, love and forgiveness, but was I really giving that to others in return? Over this journey, I saw people differently and I couldn't go back. I had an epiphany one day when I realized people are the only things in this world that are eternal. From that day, everyday, I have prayed ‘Father let my words be your words and my actions be your actions.' God in, God out. It's impossible to share all my experiences I've had in the years to now. But I assure you Jesus is alive and miraculously active right here, right now…and He loves us far more then we can imagine. Copyright ©2016 Doug Shea. All Rights Reserved.